Some readers might recall that I attended Compostmodern09 via webcast back in February. 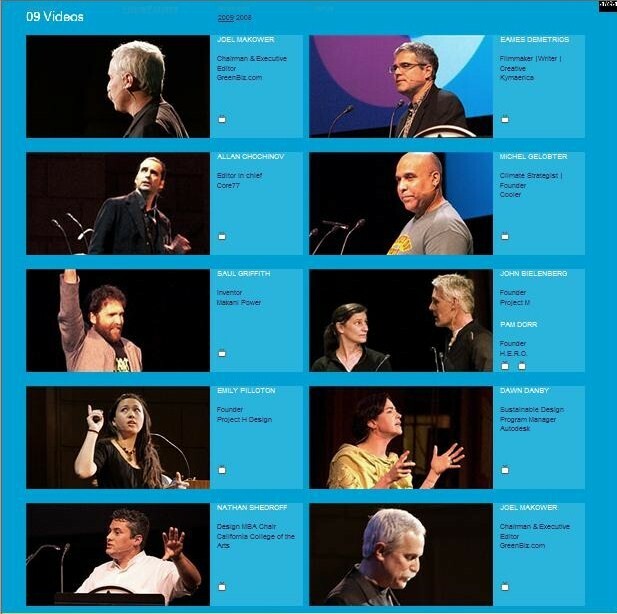 Social Alterations was developed in many ways as a response to the call to action presented by the 09 speakers. Without shying away from the im/possible challenges of responsible design, they not only made change seem necessarily tangible and achievable, but did so with immense passion and, of course, sarcasm and wit. The interdisciplinary nature of this conference—the key to its success— is inspirational. In my eager anticipation for compostmodern10, I have enjoyed revisiting the 09 presentations. I hope you will take the time to get to know these speakers, letting them in to inspire you on your journey toward change. Click on the image below to view each presentation on the Compostmodern website. This entry was posted in Conferences, Cradle to Cradle, CSR, DESIGN, Education, Environment, Events, fashion, Fashion Design, Fibre/Material, Greenwashing, Human Rights, Industrial Design, Labelling, Labour, Landfill, Lifecycle Analysis, Product Design, PVC, Responsibility, Social Conditions, Social Responsibility, Socially Responsible Design, Student Education, Transparency, Tutor Education, Water and tagged AIGA, Allan Chochinov, compostmodern, Dawn Danby, DESIGN, Eames Demetrios, Emily Pilloton, environmental responsibility, Joel Makower, John Bielenberg, Michel Gelobter, Nathan Shedroff, San Francisco, Saul Griffith, social responsibility on December 15, 2009 by Mary Hanlon. How can education foster sustainable change toward socially responsible fashion and apparel design and manufacturing practices? 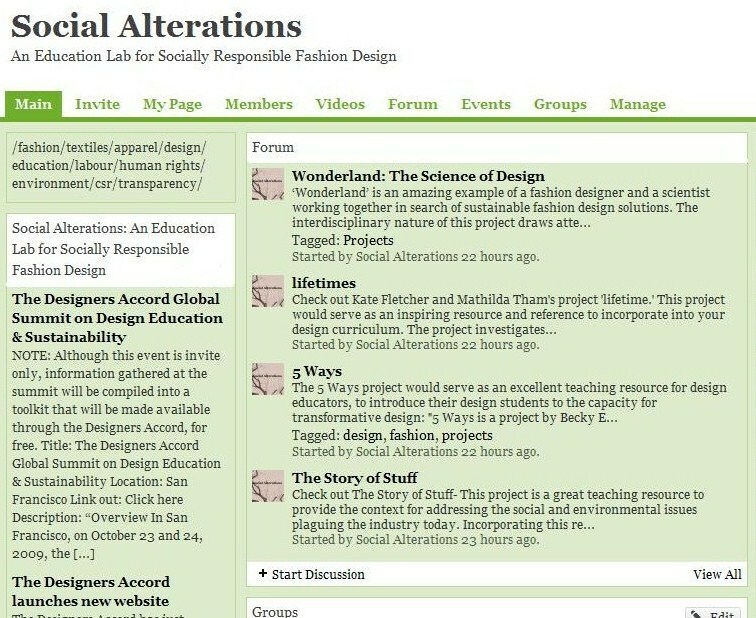 Social Alterations hopes to foster socially responsible fashion design education through aggregating relevant material that will inspire fashion/textile and apparel instructors, researchers, designers and design enthusiasts to get on board with thinking about consequence in the industry. 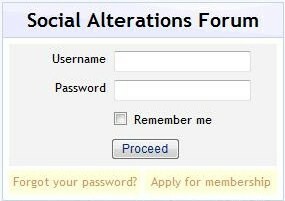 Sign up to the Social Alterations Forum if you’re interested in sharing and contributing ideas on curriculum, research, projects, materials, design, etc. with this community. This entry was posted in Aid, Animal Rights, Arms Control, Bamboo, Child Labour, Consumer Education, Cotton, Cradle to Cradle, CSR, Debt, DESIGN, Education, Empowerment, Environment, Equal Rights, Events, Fair Trade, Fashion Design, Fast Fashion, Fibre/Material, Forced Labour, Freedom of Association, Garment Care, Garment Disposal, Gender Equality, Greenwashing, Harassment or Abuse, Health and Safety, HIV/AIDS, Hours of Work, Human Rights, Industrial Design, Jewellery, Knit, Labelling, Labour, Landfill, Lifecycle Analysis, Low-chemical cotton, Low-water use cotton, Nondiscrimination, Organic cotton, Overtime Compensation, Product Design, PVC, recycle, Reduce, Responsibility, Reuse, Shoes, Social, Social Conditions, Social Responsibility, Socially Responsible Design, Student Education, Supply Chain, Torture, Transparency, Tutor Education, Upcycle, Wages and Benefits, Water and tagged DESIGN, Responsibility on August 20, 2009 by Mary Hanlon. Below is my tweet along for Compostmodern09, which took place on Sat. Feb 21st 09. This event was greatly inspiring, and I will be writing a post soon on the over all themes of the conference and where the convergence into sustainable fashion design comes into play. Stay tuned for that post (and some images as well). This entry was posted in Consumer Education, Cradle to Cradle, CSR, DESIGN, Education, Environment, Events, Fashion Design, Fibre/Material, Greenwashing, Industrial Design, Product Design, PVC, recycle, Reduce, Responsibility, Reuse, Social Conditions, Social Responsibility, Socially Responsible Design, Supply Chain, Upcycle and tagged DESIGN, Responsibility on February 23, 2009 by Mary Hanlon. How does “Poison Plastic” translate to “Sustainable Plastic”? Anyone? And so, as promised, I had sent an email requesting more information on PVC to Melissa (via Arbec Group), Vivienne Westwood and Grendene. According to this 2005 Greenbiz article, “[h]azardous chemicals are used and released in this commonly used material, the second highest selling plastic in the world. Studies show links between chemicals created and used during the PVC lifecycle and cancer, reproductive and immune system damage, and asthma”. 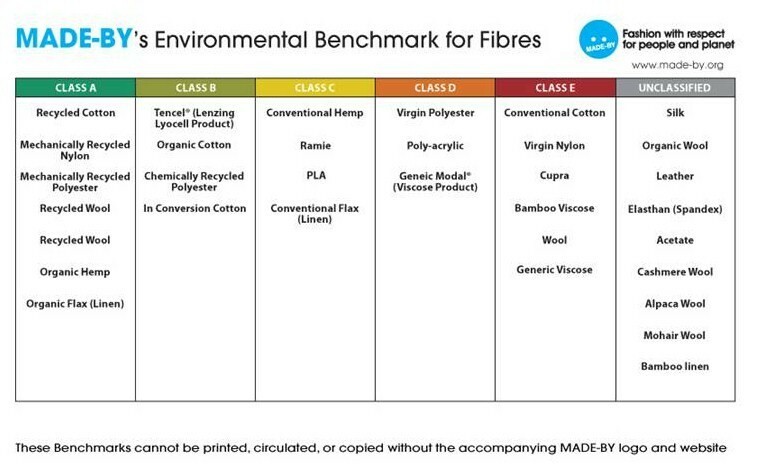 The article claims that many companies have taken action in eliminating PVC from their products due to health, safety and environmental concerns such as Microsoft, Crabtree and Evelyn, Wal-Mart, HP, Adidas, Aveda, Bath and Body Works, the Body Shop, Gerber, Honda, Ikea, Lego Systems, Nike, Samsung, SC Johnson, Shaw Carpet, Toyota, Victoria’s Secret, Volkswagen, and Volvo. And of course, MEC as mentioned in the earlier post. The Centre for Health, Environment and Justice even maintains a “PVC: The Poison Plastic” campaign. I have yet to hear back, but when I do I will post an update. -These shoes are being marketed and sold as sustainable. -We know that in 2005 companies such as adidas, Nike and Wal-Mart took steps to remove PVC from their products, as a result of the hazardous nature of the material. -The companies involved have yet to comment on the hazardous reputation of PVC in the textile and apparel industry. Let’s talk briefly on the importance of understanding the lifecycle of a garment. It may be true that the factory producing the PVC for this shoe company maintains “practically zero waste” and that the shoes are easily recyclable in house. The company boasts the sale of 176 million pairs of shoes per year. Surely all of these shoes are not sent back to the original factory in Brazil for proper breakdown. 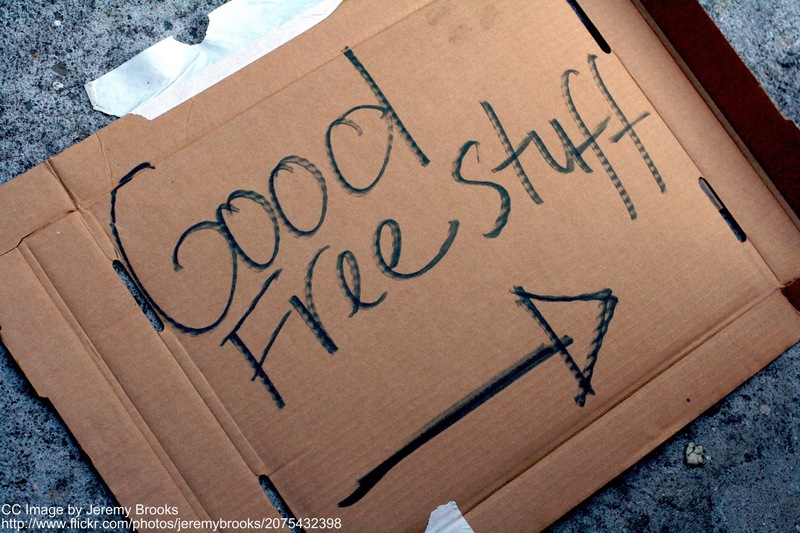 This entry was posted in Consumer Education, CSR, DESIGN, Environment, Fashion Design, Greenwashing, Lifecycle Analysis, PVC, Responsibility, Shoes, Socially Responsible Design and tagged DESIGN, Responsibility on February 11, 2009 by Mary Hanlon. 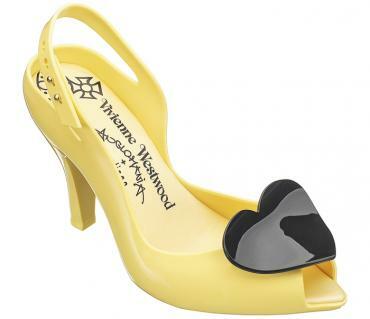 Vivienne Westwood recently teamed up with Melissa to create a new shoe collection. “The Fashion Audit: 02/02/09” in The Independent claims that these shoes are made from recycled rubber. The shoe company offers limited information on the details of the environmental factors associated with the plastic. One thing for sure, the shoes, like all Melissa shoes, are made from PVC (polyvinyl chloride). Now, I am no expert on PVC, that’s for sure, but I seem to recall the material being associated with some pretty serious safety and environmental risks. What’s changed? Apparently, at least one PVC manufacturer (Grendene), has been producing sustainable PVC since 1996? I have sent in an email to the people at Melissa, Vivienne Westwood, and Grendene requesting more information on PVC and will hopefully hear back and write more on the subject at a later date. This entry was posted in CSR, DESIGN, Environment, Fibre/Material, Greenwashing, Lifecycle Analysis, PVC, Responsibility, Socially Responsible Design and tagged DESIGN, Responsibility on February 6, 2009 by Mary Hanlon.